E-Books? How do I do that? Did you know that if you have a smart phone, an E-Reader, tablet, or laptop and a library card you can check out eBooks, audio-books and even videos from your library? I love my library’s huge selection of digital materials, available to download any time of the day or night. It’s so easy to do. Just download Overdrive and the Kindle reading app from your app store (both apps are free) to what ever device you want to use. I have them downloaded to my phone, computer and tablet, and don’t worry too much about storage space. 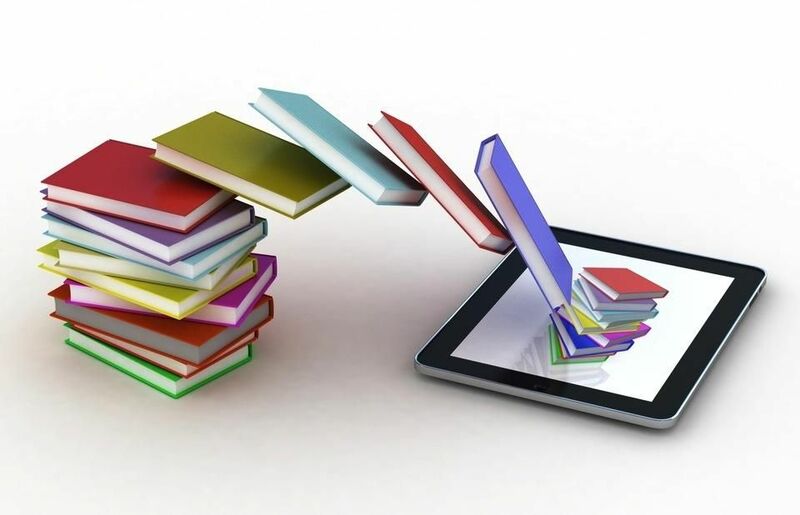 Just 2gb can hold approximately 1100 eBooks. Go to eapld.org from the web browser on your device. Click on the link for Digital Downloads and login using your library card number and your library PIN number. 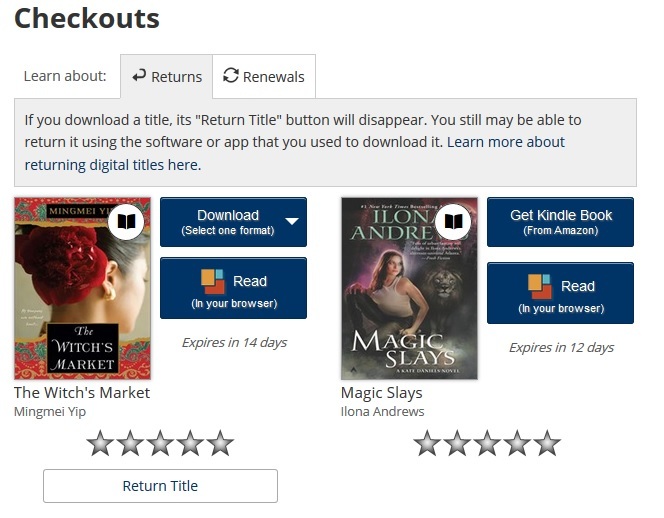 Login before you browse so you can see ALL of the titles available to you. If you’re not sure of your PIN number contact us at the library and we’ll set one up for you. 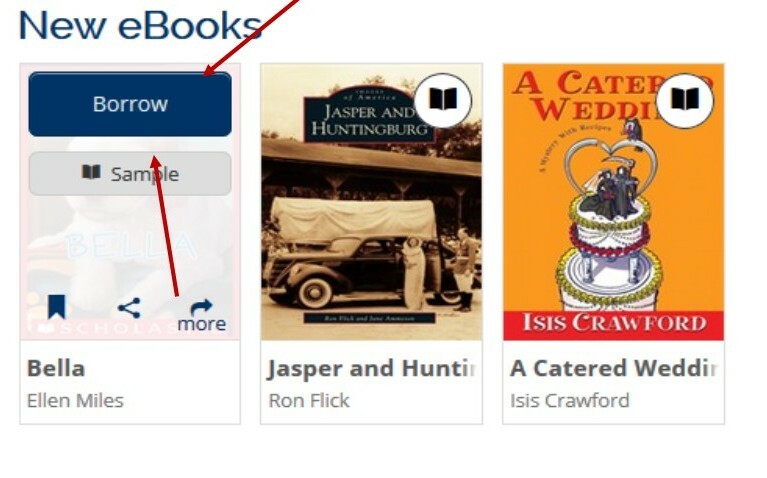 From the home screen of the Indiana Digital Download Center you can search by title, author or genre. You can check out up to ten titles at once, with no late fees ever! After you have chosen a title hover the mouse over the image and the words borrow or place a hold will appear as well as the word sample. If you want to read a couple pages before you decide, click sample and an excerpt of several pages from the book will open in a new tab for you to review. If the sample meets your approval click back to the IDDC tab and click borrow. A small menu box opens that says go to check-outs. This takes you to your account page where you can see items you already have checked out as well as the item you just chose. To the right of the image of the material you’ll see two blue boxes. You can choose read in your browser which opens the book so you can start reading or choose download. Materials are available in several different formats, for this example we will choose kindle book. Once you’ve chosen the format click confirm and get book. This opens Amazon in a new tab, sign in to your account and click the yellow bar that says Get Library book. The book will be downloaded to your device so you can read anytime, anywhere regardless of internet availability. If you do have trouble with any part of the process stop in at any of our three branches and a staff member will be happy to help. With over 20,000 eBook titles, nearly 2,000 audio-book titles and over 500 videos to choose from you are sure to find many, many hours of entertainment for the whole family. As National Poetry Month comes to a close, I have a challenge for you. Try to read at least one poem. Some of you will claim to not like poetry, to not understand it, to not know what to choose. These excuses may be true, but it can be fun to stretch yourself a bit. I have some great suggestions to help you get started. Poetry can be very personal. It may bring out strong emotions – including laughter and joy. My suggestions are just suggestions; you may have to pull some books off the shelves before you find one you will enjoy. If you’re still with me, you may have decided to give it a try. Ask yourself if you want to try something traditional or more modern? Do you want a narrative poem or a shorter work that just evokes a scene or a moment? You may want to take a large collection of poems and just thumb through to find one that seems interesting. We have poetry collections by many well-known poets: Ralph Waldo Emerson, Robert Frost, Langston Hughes, James Whitcomb Riley and many more. You could also try a collection of selected poems by many different poets. Caroline Kennedy edited a book of her mother’s favorite poems that is great to browse through. You may want to try a more recent poet such as Maya Angelou or Billy Collins. As you read, keep in mind that poetry often challenges us to see the world in different ways or from alternate perspectives. We have a very nice set of short biographies of some well-known poets. Included in the books are some of the poet’s best known poems. Perhaps knowing something about the person will help you connect with the poetry. Poets in the series are Walt Whitman, E.E. Cummings, Langston Hughes, Emily Dickinson, Edgar Allan Poe and William Shakespeare. If you want something short and sweet, and you are a nature-lover, pick up The Cuckoo’s Haiku, featuring beautiful watercolor bird illustrations by Stan Fellows. Here are some other books to get you started. Be sure to also check out the selections from the Indiana Digital Download Center. There is a featured collection on the main menu for National Poetry Month. Pale Male, Citizen Hawk of New York City by Janet Schulman is a touching story of a love affair between 2 red-tail hawks and the people of New York City as well as other people from other countries of the world. The story opens with the male hawk, Pale Male stopping by Central Park. Birdwatchers in the park named him Pale Male as he had beige feathers versus dark brown feathers of more mature hawks. His tail feathers were brown, which meant he was young. Red-tail hawks get red tail feathers when they reach 2 years of age. Pale Male’s visit was unique because he did not leave. Most hawks stay a brief time at Central Park when they visit, as they prefer more quiet locations such as wooden mountains and farmlands. Pale Male’s presence created quite a stir among daily park visitors, birdwatchers, high-rise dwellers, and international visitors to New York City. The scene of this enchanting (and true) story is the Ramble, an unknown wilderness deep in the heart of New York’s fabled Central Park. There an odd and amiable band of nature lovers devote themselves to observing and protecting the park’s rich wildlife. 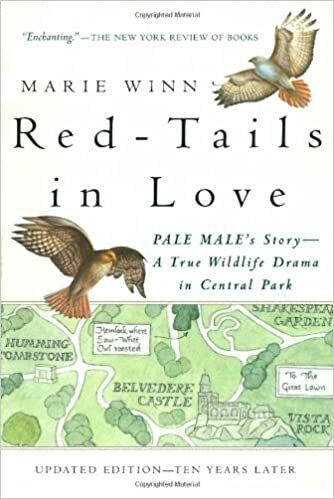 When a pair of red-tailed hawks builds a nest atop a Fifth Avenue apartment house across the street from the model-boat pond, Marie Winn, Wall Street Journal Nature columnist and her fellow “Regulars” are soon transformed into obsessed hawk watchers. The hilarious and occasionally heartbreaking saga of Pale Male and his mate as they struggle to raise a family in their unprecedented nest site and the affectionate portrait of the humans who fall under their spell will delight and inspire readers for years to come (Amazon.com Review). In the fall of 1997, Sue Ellen Cooper, an artist from Fullerton, California, purchased an old red fedora for $7.50 from a thrift shop during a trip to Tucson, Arizona. When a good friend was nearing a 55th birthday, Cooper cast about for an idea for an original gift. Inspired by a well-known Jenny Joseph poem, Warning, which begins “When I am an old woman, I shall wear purple, with a red hat which doesn’t go and doesn’t suit me. ” Cooper wanted to encourage her friend to grow older in a playful manner. She gave her friend a red hat of her own suggesting that she keep it as a reminder to grow older playfully and on her terms. The symbolism behind the red hat had an impact on women Cooper encountered. Those women responded by wearing their own red hats and entering a new women’s movement that embraced a renewed outlook on life filled with fun and friendship, fulfilling lifelong dreams. Cooper repeated the gift on request several times, and eventually several of the women bought purple outfits and held a tea party on April 25, 1998. The Red Hat Society was born. The Aurora Public Library has two of Sue Ellen Cooper’s books,” The Red Hat Society Fun and Friendship After Fifty” and “The Red Hat Society’s Laugh Lines” which I am reading now. Let me tell you what a laugh you will get out of this book. I read parts to my husband and he said it was the biggest laugh he has gotten for awhile. 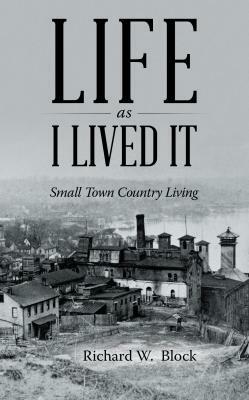 Now I could share some of the stories but take my word you will just have to pick up the book and read for yourself. This is the poem that inspired the books. 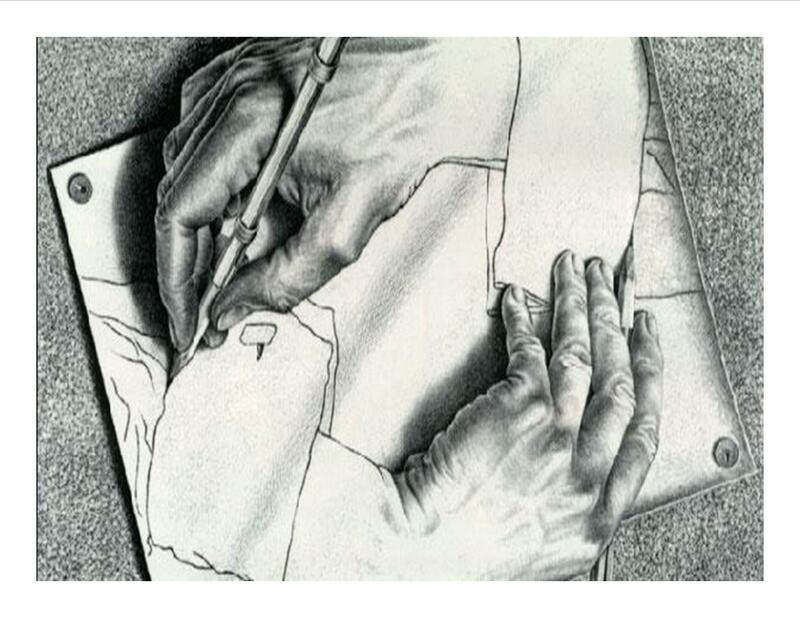 Have you ever wondered what metafiction is? Have you even ever heard of it? The definition of metafiction is fiction in which the author self-consciously alludes to the artificiality or literariness of a work by parodying or departing from novelistic conventions (especially naturalism) and traditional narrative techniques. In other words, its when the character knows they are a character. Metafiction is fiction about fiction. It is a novel or short story (or film or play) in which the author knowingly draws attention to the fact that it is being made up. This is an interesting concept among our many other genres, if you are intrigued…we have many great books to choose from. Although, they are throughout all our sections, I am going to present a few of our J Fiction titles for your reviewing pleasure. After the sudden death of their parents, the three Baudelaire children must depend on each other and their wits when it turns out that the distant relative who is appointed their guardian is determined to use any means necessary to get their fortune. Follow Hansel and Gretel as they walk out of their own story and into eight more tales, encountering such wicked creatures as witches, along with kindly strangers and other helpful folk. Based in part on the Grimms’ fairy tales Faithful Johannes, Hansel and Gretel, The seven ravens, Brother and sister, The robber bridegroom, and The devil and his three golden hairs. These are only a few of the many that we have. See if you can figure out which of your favorite books might be metafiction. Happy reading! Hello! My Tech Tip for today is more about organizing the physical side of technology than a tip on interacting with the software. If you happen to live in a house with a lot of people you can often find your different charging chords missing when you are ready to go charge your device or you have to unplug a million and one things from a power strip just to get to the one you want to unplug. Designating a specific area where chargers are used can help but also marking the cords and charging bricks will also help keep track and organize all those cords. Use washi tape, decorative masking tape, to designate which cord goes with which brick. The washi tape isn’t a permanent change so if you ever need to switch things up it is easy to remove. The beauty of this is you can keep track of where your charger has run off to if it is missing. While you’re at it collect tabs that keep your bread closed and use them to organize cords that are plugged into a power strip. Just use a permanent marker to write the name of the device and slip it around the cord. Remember being read to as a child? That feeling of comfort and excitement as the big bad wolf huffed and puffed or the little red hen asked “Who will help me plant the seeds?” Who was that important person in your life that made you feel special, by taking the time to read to you? Did they do the different voices and make the funny sounds? We are all grown up now, maybe with kids of our own, certainly with lots to do and lots of responsibilities. Take a moment, just a moment; to remember how good it felt, how entertaining it was to be read to. The Aurora Public Library District would like you to feel that way again. We think you are still special and we’d like to read you a story. The library has a large collection of audio-books on CD and digitally available through our website, with authors like Stuart Woods, James Patterson and many more. Talented narrators make the story come to life and truly can enrich and enliven a good book. Listen in the car on the way to work. Listen from your smart phone, tablet or laptop. Listen while washing the dishes, sorting the laundry, painting the living room or just relaxing at home (we will do the voices AND make the funny sounds.) Where ever you are, no matter what is on your to-do list, you can have that feeling of being read to back again. The Aurora Public Library District thinks you are special and we’d like to read you a story.